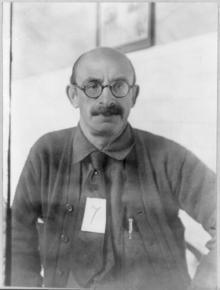 Alexander Berkman (1870–1936) was a twentieth-century American revolutionary. Like the abolitionist John Brown before him, Berkman was hugely idealistic, ready to go to the furthest extreme of self-sacrifice and violence on behalf of justice and civil rights. He decided to assassinate industrialist Henry Clay Frick after reading in the newspaper that Pinkertons hired by Frick had opened fire on the Homestead strikers, killing men, women,and children. Berkman’s bungled attempt cost him fifteen years in a federal penitentiary. Upon his release, he became an effective agitator against conscription and was again imprisoned and eventually deported to Russia, where he saw firsthand the early days of Bolshevism. Berkman’s writings remain a lasting and impassioned record of intense political transformation.